Good morning … D.C. readers: Join Axios' Kim Hart this Wednesday for a breakfast-time conversation on how artificial intelligence will impact our economy, jobs and day-to-day lives. RSVP here. My colleague Bob Herman noticed a bit of a trend lately: It sure seems like there’s been a lot of bad news for and about hospitals — specifically, about their protections for patients’ safety. A WebMD/Georgia Health News investigation found a third of the country's hospitals have violated basic federal rules for providing emergency care. 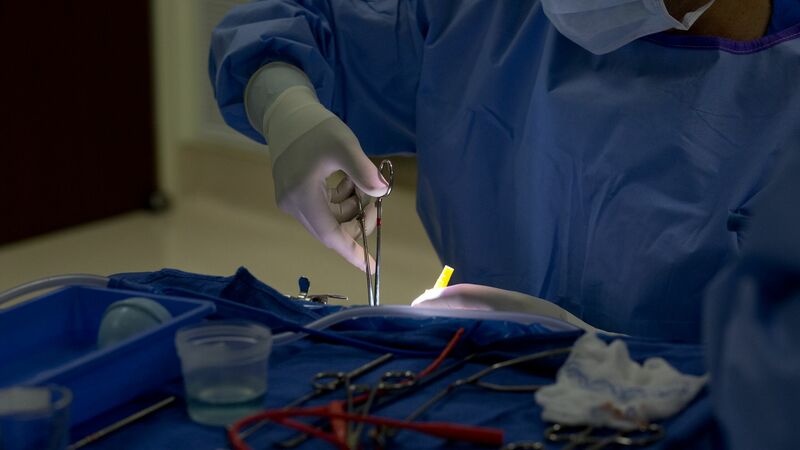 Baylor St. Luke's Medical Center is now drawing scrutiny for poor outcomes with its liver and lung transplants, after ProPublica and the Houston Chronicle highlighted failures with heart transplants. Kids at the Johns Hopkins children's hospital in Florida are dying "at an alarming rate," the Tampa Bay Times recently reported. The federal government is threatening to end Medicare and Medicaid funding at Vanderbilt University Medical Center after a patient died from getting the wrong medication. A large Detroit hospital faces the same threat due to dirty surgical equipment. What they’re saying: "We are unnecessarily killing thousands of people every year because hospital quality is not what it should be," says Leah Binder, CEO of the Leapfrog Group, an organization that grades hospital care. "There's lots of ratings that will say, 'This is the No. 1 hospital, this is the great hospital list.' But what we also need are ratings on where not to go," Binder says. "But there's some risk to exposing and embarrassing any part of that." After pushing rising health care costs onto workers for years through higher deductibles and more cost-sharing, big employers are now taking on a more active role trying to control those costs directly, the Wall Street Journal reports. Details: A whole lot of options are on the table, from direct purchasing agreements with hospitals to onsite clinics to the unusual program in Utah that pays people to travel to Mexico for their drugs. “We’re seeing a really keen interest in moving away from high deductibles and coinsurance,” Forrest Burke, chief executive of national markets at UnitedHealthcare, told the WSJ. My thought bubble: Some of these tools are really only available to large employers, and don’t do much to change the underlying system in a way that would also provide spillover benefits to small businesses or individuals. At the same time, I still think that if there’s going to be a breaking point where direct government-driven cost control becomes more widely politically palatable, employers will be the ones who drive it. Wall Street last week pounded the stock prices of the country’s two major lab testing companies, Quest Diagnostics and LabCorp, after both lowered their revenue and profit estimates for the rest of the year, Bob notes. The common thread: Fewer labs are being ordered than companies have expected, and some analysts are guessing hospitals are referring fewer tests out and keeping more under their own roofs. The big picture: Medicare cuts are the main issue for lab testing companies, and they are fighting hard in and out of the courtroom to get them reversed. Yes, but: A new government report on Friday doesn’t help the industry's case. The report said Medicare still likely will overpay for some lab tests even under the new system, with overpayments totaling as much as $733 million from 2018 through 2020. Now that they've won the House and the 2020 presidential campaign is about to start, Democrats will have to decide how much "Medicare for All" should dominate their health care agenda, the Kaiser Family Foundation’s Drew Altman writes this morning. Democrats would have to spend political capital on both issues, when they might prefer to spend it on other things. Moderate Democrats are less excited about "Medicare for All" than the progressives. Republicans have plenty of attack lines that could help them get off of defense on health care. Go deeper: Read the column. The Trump administration approved Medicaid work requirements in New Hampshire. HHS is pushing seniors to switch to Medicare Advantage, the New York Times reports. NPR and Kaiser Health News delve into the shortcomings of the FDA’s oversight of orphan drugs.